Rachel Blaney is the MP for North Island-Powell River. Photo courtesy Rachel Blaney web page. NORTHERN VANCOUVER ISLAND, B.C. – The federal government has released its budget for 2019-2020, and seniors and veterans will be seeing some new funding. The new budget will make it easier for seniors receiving the Guaranteed Income Supplement (GIS) and who are working at the same time to keep more of their money. “This is great news for people who can continue to work in their later years but does nothing for seniors who don’t have paid work. With nothing in this budget for Canadians living with disabilities, what are we expecting them to do? 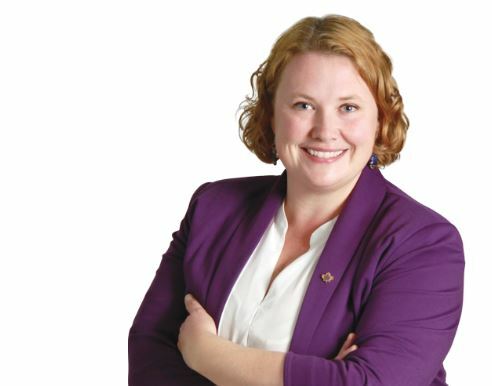 This budget leaves many low-income seniors living in poverty and we can do so much better,” North Island-Powell River MP Rachel Blaney wrote in a release. The new rules mean employed and self-employed seniors can make up to $5, 000 a year before they can they trigger a reduction in their GIS benefit. The changes mean the GIS benefits would rise just under $30, 000, which is up from over $20, 000 for seniors with employment income and less than $20, 000 for those with self-employment income. The GIS is a tax-free benefit available to low-income seniors who receive the Old Age Security pension. The changes won’t kick in until a year later, however. The New Horizons program also received a funding boost to the tune of $20 million. The budget also includes funding for a National Dementia Strategy. According to the release, as the NDP critic for Veterans Affairs, Blaney welcomed new funding for veterans, which includes $250 million over five years to process veterans’ disability claims. “It’s too bad this didn’t happen sooner. Our veterans have been made to wait for far too long by consecutive Conservative and Liberal governments,” Blaney wrote in the release. The release stated that in 2017-2018, Veterans Affairs Canada only processed 33% of their disability claims within their target of 16 weeks.